Photography as a proof that somebody (or something) exists very soon became a tool used to create systems for identifying or confirming people’s identity. This purpose is served by the photographic portrait: a photo for the student card, passport, or other personal identification document. We use images depicting our face to handle official formalities from our childhood. Our images are ensnared by web applications, which try to identify them and match to a pattern which is stored in some unknown place. The project is an invitation to experience one’s own face, to reclaim a role which has apparently been seized from us, taken over by machines, which decide about our humanity. The action is addressed to all those who are familiar with the ritual of taking ID card or passport photos. The project has a performative nature—it involves working closely with viewers and is focused on direct experience. The masks and portraits created during the action will be used to build an installation. The second part of the title is the magical number which means in the context of neural network software that a face has been recognised and identified. Basia Budniak is a photographer. She studied Polish philology at the Jagiellonian University and photography at the University of Arts in Poznań. She works and lives in Krakow. 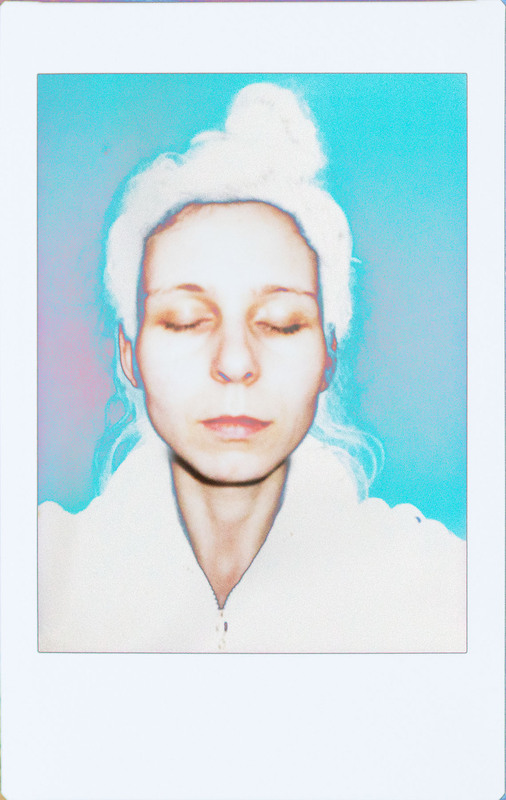 In her works, she tends to use traditional photographic techniques, focusing on the performative nature of the photographic image, its use and functioning. Her main interest is in portraiture.